9:00 pm-- Frank Wittine drives Jim McKenzie back to New York City. Documentation is not yet available. 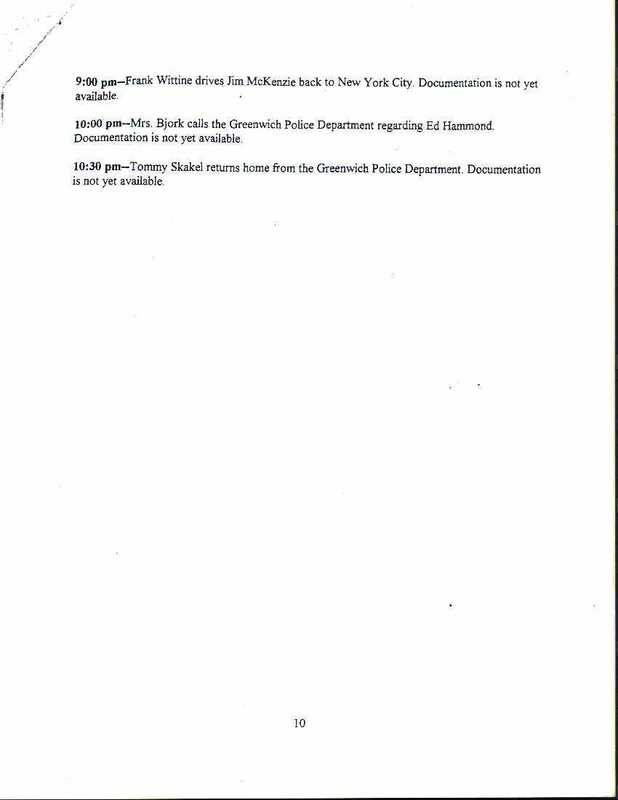 10:00 pm --Mrs. Bjork calls the Greenwich Police Department regarding Ed Hammond. Documentation is not yet available. 10:30 pm --Tommy Skakel returns home from the Greenwich Police Department. Documentation is not yet available.